12mm thick flat glass awards plaque, 4in x 6in. 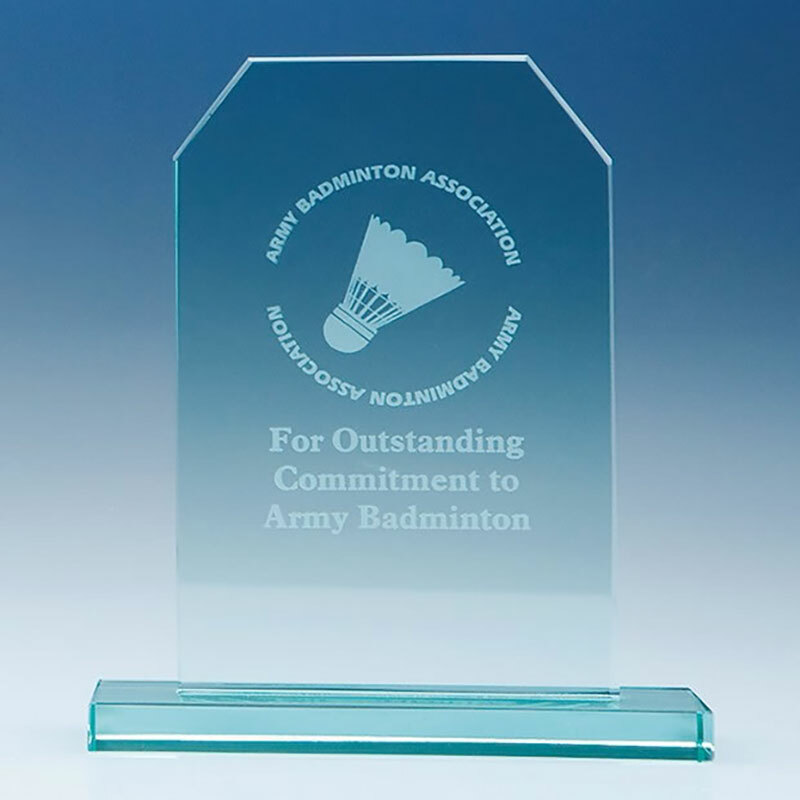 free-standing flat glass 'Honour' awards in tombstone design and suitable for engraving as corporate recognition or achievement awards. Offered with engraving and/or colour print options. An instant classic. These 4in x 6in jade glass plaques combine traditional elegance with contemporary design and materials, and comes at an attractive price too. Ideal for corporate achievement awards and recognition awards, they are offered with engraving and/or colour print options from Crystal Awards Supplier. These 'tombstone' design awards are one of our bestselling crystal awards and are popular among a wide range of customers, from sports clubs and organisations to schools and colleges to corporate clients.